The Highest Peak Best of the mountain man movies. 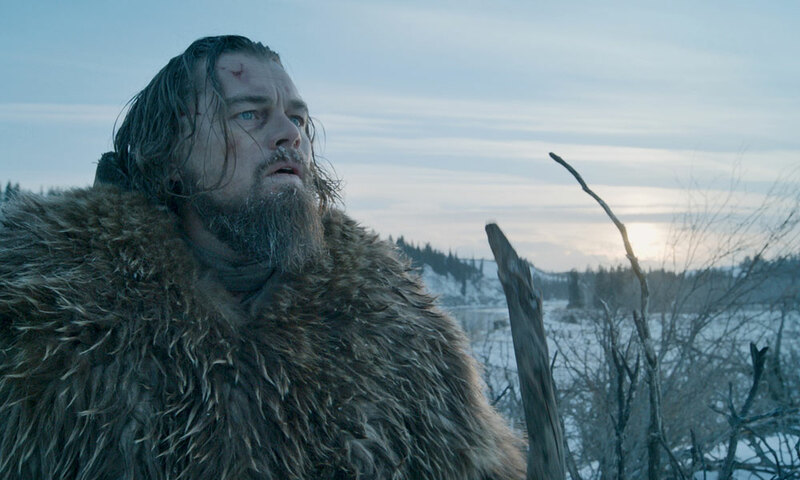 Leonardo DiCaprio takes on the role of real-life trapper Hugh Glass in The Revenant. 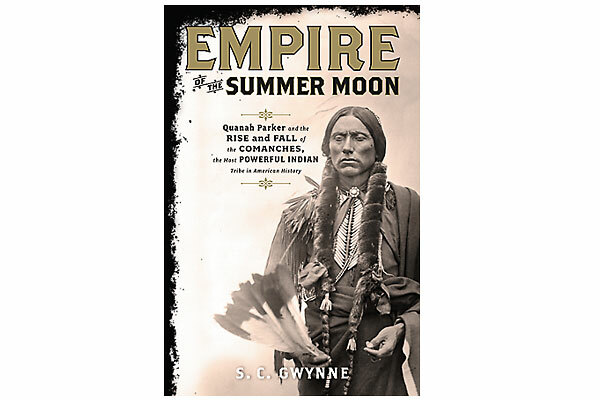 He must navigate a brutal, winter, hostile environment, filled with warring American Indian tribes, in his relentless quest to survive and exact vengeance on the men who betrayed him. On the eve of the release of The Revenant, inspired by the true story of Hugh Glass’s fight for life, the film rights to the character of Grizzly Adams are up for bid and, across the country, hipsters dubbed “lumbersexuals” are sprouting facial hair and sporting flannel and buckskin. 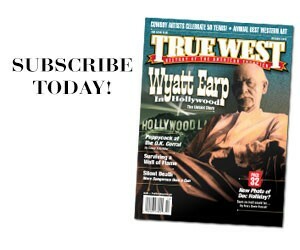 The men who cut the paths that became wagon routes for the pioneers have long fascinated filmgoers and filmmakers. Here are 10 mountain man movies worth seeking out. #1 The 1971 Western Man in the Wilderness (Warner Archive), the first cinematic telling of the ordeal of Hugh Glass, stars Richard Harris as part of a grand trapper expedition. Horribly mauled by a grizzly, sure to die, the expedition’s captain (John Huston) leaves two men behind to bury him, but fearing that Indians are coming, they abandon him. Yet he survives, driven by memories of his family, to try and catch up. #3 Clint Walker, on hiatus from Cheyenne, gave the screen’s most clean-shaven mountain man in 1959’s Yellowstone Kelly (Warner Archive). Supported by fellow Warner Bros. TV stars Edd Byrnes and John Russell’s characters, Kelly must protect the Sioux, and his own trap-lines, from dangerously ambitious soldiers. He must also safeguard a beautiful Arapaho captive desired by both the Sioux chief and his ambitious nephew. #5 The most filmed mountain man portrayal is of Albert Johnson, the “Mad Trapper of Rat River,” filmed four times in nine years! (The 1978 comedy went unfinished.) In 1931, Inuits complained that Johnson was meddling with their traps. Mountie confrontations with Johnson led to them leveling his cabin with dynamite. 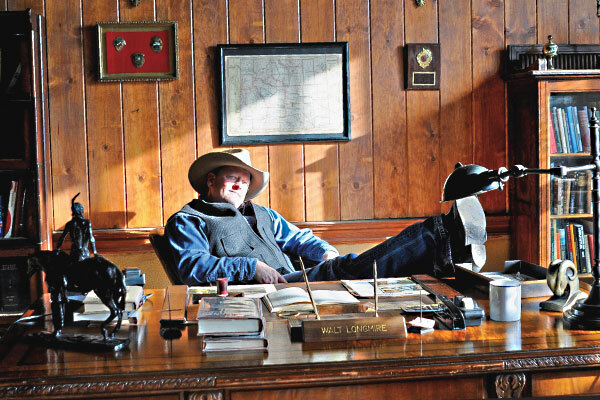 When the smoke cleared, Johnson ran out, guns blazing, and the legendary Yukon manhunt began. The engrossing 1981 actioner Death Hunt (Shout! Factory), starring Charles Bronson as Johnson and Lee Marvin as the Mountie determined to catch him, is by far the best. A new version has been announced for 2017. #7 In “Wild Bill” Wellman’s 1951 flick Across the Wide Missouri (Warner Archive), Flint Mitchell (Clark Gable) bargains for a Blackfoot bride (María Elena Marqués) for trade reasons, assembles a battalion of fellow-trappers, and leads them into rich beaver grounds. Mitchell finds himself loving his wife and her people, and he becomes drawn into a power struggle between her grandfather Bear Ghost (Jack Holt) and Ironshirt (Ricardo Montalban). #8 Anthony Mann’s 1955 Western The Last Frontier (Sony Pictures) is a fascinating story of three cultures clashing: military, Lakota and mountain man. When Red Cloud forces three trappers out, they scout for the nearby fort. As arrogant Col. Marston (Robert Preston) drives the two sides inevitably to war, Victor Mature is the savage innocent of the trappers, who naively makes a play for Anne Bancroft’s character, not caring that she’s the colonel’s wife. #9 In 1969’s My Side of the Mountain, Ted Eccles plays a 12-year-old boy obsessed with Henry David Thoreau and science, who runs away to live in the mountains of Canada and tries to create a new food source—from algae! He also catches and trains a Peregrine falcon, skins deer to make his clothes and befriends an itinerant folksinger played by Theodore Bikel. #10 I’m jumping the gun including The Revenant in the top 10 list. As we go to press, I have seen only the trailer, but what a trailer and what a story. Between the celebrated novel by professional diplomat Michael Punke, the direction by last year’s Oscar winner (for Birdman) Alejandro González Iñárritu, photography by double-Oscar winner (for 2014’s Birdman and 2013’s Gravity) Emmanuel Lubezki and performances by Leonardo DiCaprio and Tom Hardy, it should be on the top of your must-see list. Due out as a limited release this Christmas and then nationwide on January 8, The Revenant stars DiCaprio as real-life frontiersman Hugh Glass, who gets mauled by a bear and left to die by his hunting companions. He sets out on a 200-mile trek to avenge this betrayal. 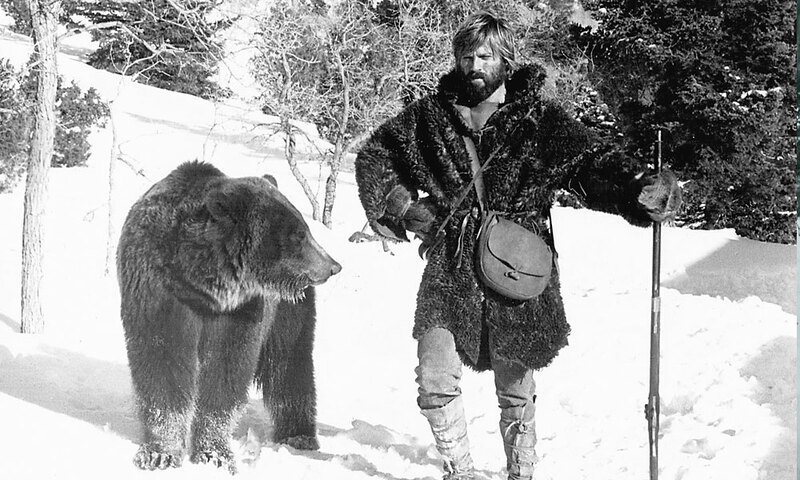 Fraser Heston voted 1972’s Jeremiah Johnson the best mountain man movie. Dan Haggerty concurs: “Robert Redford did such a great job on it; no one could have done it better.” In the film, Redford’s character (above) learns the basics of mountain survival from an older mountain man who specializes in hunting grizzly bears. 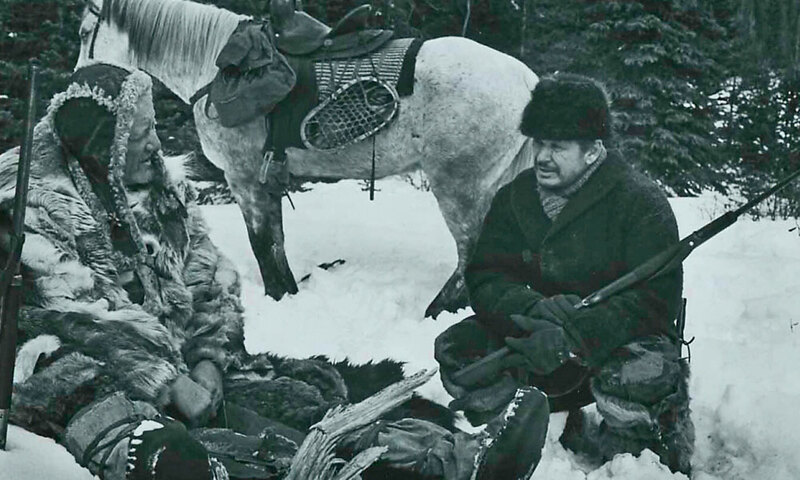 Charles Bronson (at far right), at age 59, played a real-life Canadian fugitive, trapper Albert Johnson, in 1981’s Death Hunt. Old trapper Bill Luce (played by Henry Beckman, at right) warns Johnson that the law is coming for him.